We continuously supported biological research at the EMBL and outside according to our capacity. 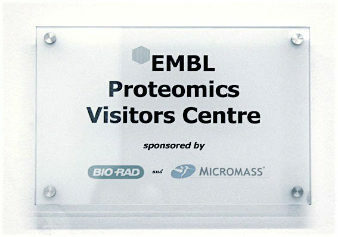 In 2001 we spent a considerable amount of time to establish the proteomics visitor laboratory sponsored by Waters and Biorad (slide 1-9). 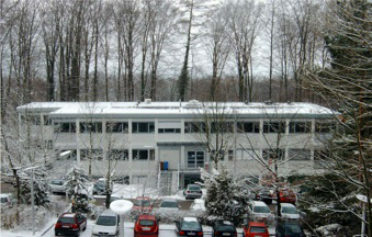 This visitor laboratory evolved into EMBL’s proteomics core facility. Two spin-off companies are directly related to main projects of our group, Protana, which later split off Proxeon, and CellZome. Fraterman, S., U. Zeiger, T.S. Khurana, M. Wilm, and N.A. Rubinstein, Quantitative proteomic profiling of sarcomere associated proteins in limb and extraocular muscle allotypes. Mol Cell Proteomics, 2007. Fraterman, S., U. Zeiger, T.S. Khurana, N.A. Rubinstein, and M. Wilm, Combination of peptide OFFGEL fractionation and label-free quantitation facilitated proteomics profiling of extraocular muscle. Proteomics, 2007. 7(18): p. 3404-16. Makarova, O.V., E.M. Makarov, H. Urlaub, C.L. Will, M. Gentzel, M. Wilm, and R. Luhrmann, A subset of human 35S U5 proteins, including Prp19, function prior to catalytic step 1 of splicing. Embo J, 2004. 23(12): p. 2381-91. Franz, C., P. Askjaer, W. Antonin, C.L. Iglesias, U. Haselmann, M. Schelder, A. de Marco, M. Wilm, C. Antony, and I.W. Mattaj, Nup155 regulates nuclear envelope and nuclear pore complex formation in nematodes and vertebrates. Embo J, 2005. 24(20): p. 3519-31.